On a Thursday morning in May, Morristown resident Cathy Clevenger, 65, was feeling a bit disconnected. Recognizing the paralysis as the sign of a stroke, she called an ambulance. It took less than 10 minutes to reach the emergency department at Morristown-Hamblen Healthcare System, where her treatment was a joint effort of emergency physician John Barrowclough, MD, and Arthur Moore, MD, neurohospitalist and medical director of Fort Sanders Regional Medical Center’s comprehensive stroke center, almost 50 miles away. “Having them working together, I was blessed,” said Clevenger, who has survived both cancer and open-heart surgery. That, said Dr. Moore, is what Covenant Health’s tele-neurology network is all about. Had it been needed, Dr. Moore could have used FSRMC’s “robot” (a push cart with a monitor and encrypted software) that enables him to remotely examine the patient in real time along with the attending physician. This time, however, all it took was a phone call from Dr. Barrowclough, who described Clevenger’s symptoms to Dr. Moore before administering the clot-busting drug tPA (tissue plasminogen activator). Fort Sanders Regional Medical Center is the region’s only comprehensive stroke and rehabilitation center, and is the hub of Covenant Health’s stroke hospital network. As part of the network, Morristown-Hamblen has diagnostic capabilities to quickly identify stroke and administer treatments such as tPA – along with access to collaborative medical expertise, advanced technology and interventional procedures at Fort Sanders Regional. “That’s better for patients because they get to stay close to home,” Dr. Moore said. However, because of other health issues Clevenger’s case was more complex, and she was later transported to the stroke center at Fort Sanders Regional. “That’s exactly why we’re here – for more complicated cases,” he said. “It was a blessing,” said Clevenger. 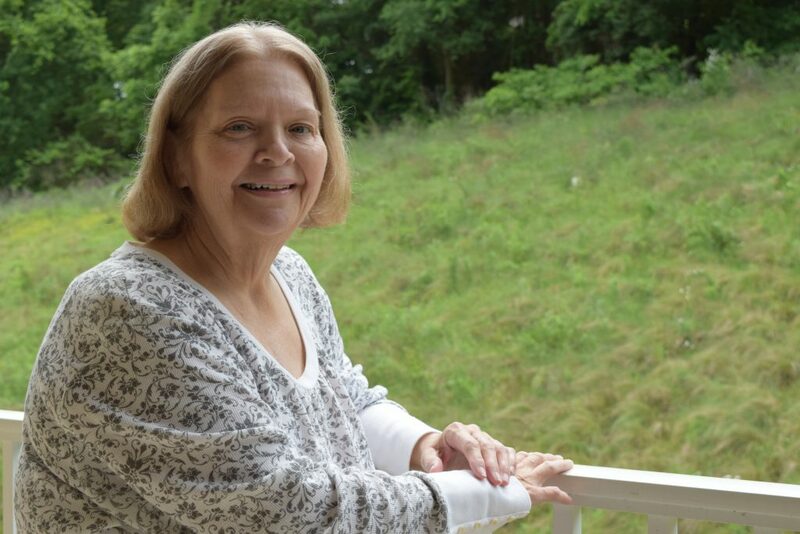 “I was close enough (to Morristown-Hamblen) so it didn’t take long to get the shot, and then I was taken to Fort Sanders Regional, one of the best stroke hospitals there is,” she said.